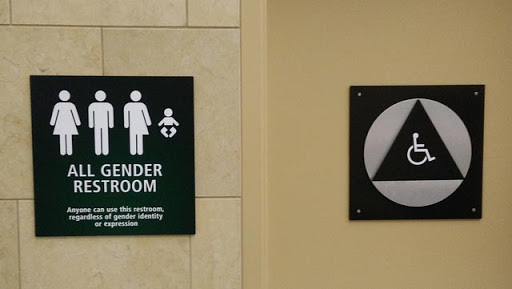 We're expecting new guidance from the Trump administration as the Donald changes course from the Obama administration regarding the accommodation of transgender students' use of bathrooms in schools. The "Dear Colleagues" letter will be issued jointly by the Justice Department and the Department of Education. According to reports, Education Secretary opposed the new language while Attorney General Jeff Sessions (no friend to the LGBT community) stood firm that the Obama era guidance should go. Though an official order from the administration was expected to be released as early as Wednesday, Mr. Sessions and Ms. DeVos were still disputing the final language. According to a draft of the letter, which was obtained by The New York Times, the Trump administration cites continuing litigation and confusion over the Obama directives as a reason for telling schools to no longer obey them. “School administrators, parents and students have expressed varying views on the legal issues arising in this setting,” the draft says. “They have also struggled to understand and apply the statements of policy and guidance” in the Obama orders. The draft also contains language stating that schools must protect transgender students from bullying, a provision Ms. DeVos asked be included, one person with direct knowledge of the process said. “Schools must ensure that transgender students, like all students, are able to learn in a safe environment,” the letter says. While Trump played vague in the past regarding transgender issues, with this action he makes clear where he stands. Yesterday, during a White House press briefing, spokesman Sean Spicer told reporters that Trump views the topic as a "states' rights issue." The executive order could be issued as soon as today.